I have been watching and reading with interest “The Case forReparations” an article written by senior editor of The Atlantic Ta-Nehisi Coates, which first appeared on May 21, 2014. On June 6, Coates’ colleague at The Atlantic, David Frum responded with “The Elusive Specificity of Reparations” and then on June 11 with “The Impossibilityof Reparations.” Coates’ then responded in that same issue with “The Radical Practicality of Reparations.” Since writing the original article Coates has been on numerous progressive radio and talk shows including Moyers and Company, MSNBC, Democracy Now and others (apparently Fox News has not yet called!). 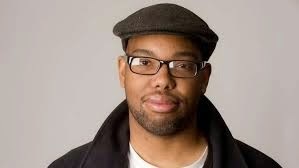 Coates’ original article was quite lengthy, but his essential point, as I understand it, is as follows: African Americans endured 250 years of legal slavery, then 100 years of Jim Crow restrictions and violence, and despite the gains of the Civil Rights Movement and progress for some African Americans in the last 50 years, the vast majority of African-Americans are still suffering the financial, political, cultural and emotional repercussions of 400 years of slavery, terrorism and institutionalized disenfranchisement. Therefore, it is time for the United States to own up to its sins. To make his case, Coates tells the story of Clyde Ross, a black sharecropper from Mississippi who migrated north to Chicago in search of work and a better life, only to find himself swindled by a real estate system consisting of red lining, deceit, and exorbitant fees and interest rates, all endorsed by the social and political authorities of the time. Through a community organizing effort called the Contract Buyer’s Club, Ross and about 130 others were able to legally purchase their homes; another 370 families in the Lawndale section of Chicago were not so fortunate, lost their homes and had to leave the neighborhood. The point of the story was to illustrate the ways in which political, financial, real estate and other institutions intentionally exploited African Americans like Clyde Ross and put nearly insurmountable barriers in front of his desire to pursue a better life like all Americans. Coates declares it is time to pay up and calls for members of Congress to support HR 40, a bill that has been proposed by Detroit Congressman John Conyers for the last 25 years without ever being given a full hearing. The bill calls for the establishment of a Commission to Study Reparations. The Commission would meet and then submit recommendations to Congress for possible solutions to the injustices faced by African Americans for the last 400 years. While Frum is sympathetic to the intent of reparations, he claims the logistics of making reparations actually work are so complex and problematic that they become impossible. For Frum the fundamental questions are “Who will get them? How much? Who will pay?” These are questions he claims Coates fails to address. He points out that the reparations paid to Japanese-Americans only went to those who had been detained in internment camps, not all Japanese- Americans; that is there was a specific wrong, and a reparation was paid for that wrong. For Frum, the process of determining who should receive reparations is too complex to make it plausible and practical. However, there is a deeper point behind Coates’ proposal that seems to have gotten lost in the debate. In his response to Frum Coates writes: “The problem of reparations has never been practicality. It has always been the awesome ghosts of history.”Those ghosts are the ongoing, systemic, entirely legal means by which people of color, especially but not exclusively African-Americans, have been denied the basic rights that the overwhelming majority of white citizens enjoy: the right to live where you please, the right to a decent education, the right to fair access to jobs, services and training, the right freedom from being terrorized and freedom from being categorized as “other” or “less than.” What Coates is calling for in his call for reparations is for America to face the truth of its past and correct the historical narrative it has been teaching and telling for 400 years. To use another metaphor, America has many skeletons in its historical closet which have been noted but not really given a full hearing. They are skeletons we in essence say we know are there, but for which we deny responsibility because we were not there when they happened. They are the skeletons of colonial expansion, of chattel slavery that built the economy, of lands stolen from Native Americans and Mexican citizens after the Mexican-American War, of the exploitation of Japanese, Chinese, Irish and East European workers, and so much more. 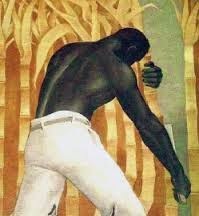 While we say America is the land of opportunity and “the home of the free and the land of the brave,” it also is the land where hundreds of thousands of Africans died in the Middle Passage, where Native cultures were obliterated, and where millions of citizens were restricted and beaten because of the color of their skin. These are the ghosts of our history, the skeletons in our closet, that the reparations discussion hopes to unearth. As worthy as Coates proposal is, I find it lacking. In his story of Clyde Ross and the Contract Buyer’s League of Chicago, he illustrates a principle articulated by the great 19th century African-American orator/abolitionist Frederick Douglass. 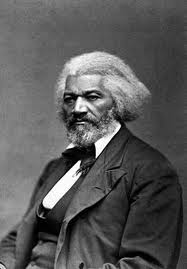 Douglass wrote: “Power concedes nothing without a demand. It never did and it never will.” Douglass goes on to describe how oppressed persons gain power only if they demand and seize that power. Coates’ proposal does not so much seem impractical to me as it does naïve. If the Congress has not taken up HR 40 in 25 years, why would they even consider it in this racially-charged, partisan political environment? If African-Americans or any oppressed group is depending on Congress to take up the reparations question, they are going to wait forever. The Contract Buyers League did not enable 130 people to own their homes by asking nicely; they challenged the system by their numbers and financially forced the realtors to come to the bargaining table. They withheld their mortgage and fees until the realtors decided they had no choice but to submit. In the same way if reparations are to even be discussed, the discussion must be forced upon us. In different ways both essayist bell hooks and psychologist Howard Stevenson outline ways African- Americans can and must go through what hooks calls a “psychic conversion” to face and overcome the stress racism brings living in a white supremacist society. I would add that whites such as myself in a parallel way must go through a psychic conversion in which we expose the lie of our “color blindness” and the myth of a post-racial society. We need to take responsibility for the privileges, power, and wealth we have inherited and still enjoy because of a system that favors us simply because we are white. The point is not guilt or shame, but setting things right. I am not at all suggesting that individuals don’t have responsibility for their decisions or their actions, but that responsibility needs to be exercised on a level playing field, in a system that truly provides “liberty and justice for all.” That is not a system that has ever existed for people of color in this society. I have no idea how reparations might work, but before we can address that issue, as a society and as individuals, we need to face the realities – past and present – that make the case for a discussion about reparations even necessary. This is not a discussion that will start in Washington, but needs to start in schools, churches, homes and community centers. It needs to be a conversation that grows to the point that goes to Washington rather than comes from Washington. I am thankful for Ta-Nehisi Coates for getting the conversation started. I encourage us to read the articles, and continue the conversation wherever we are.